Metal Roofing Source is a national leader in retail DIY metal roofing materials. 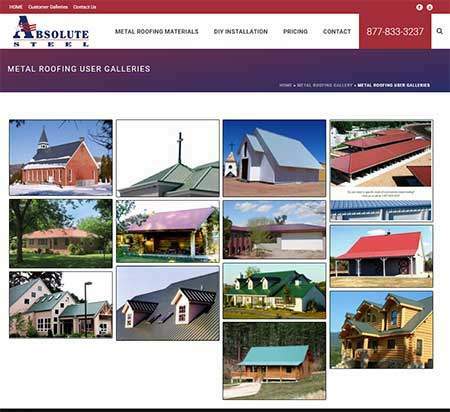 Complete with online pricing tool, MetalRoofingSource.com is a destination for those needing roofing material delivered directly to their job site. Another success story. We created this site from scratch, and over time is has grown to see nearly half a million page views per year, with no paid advertising.